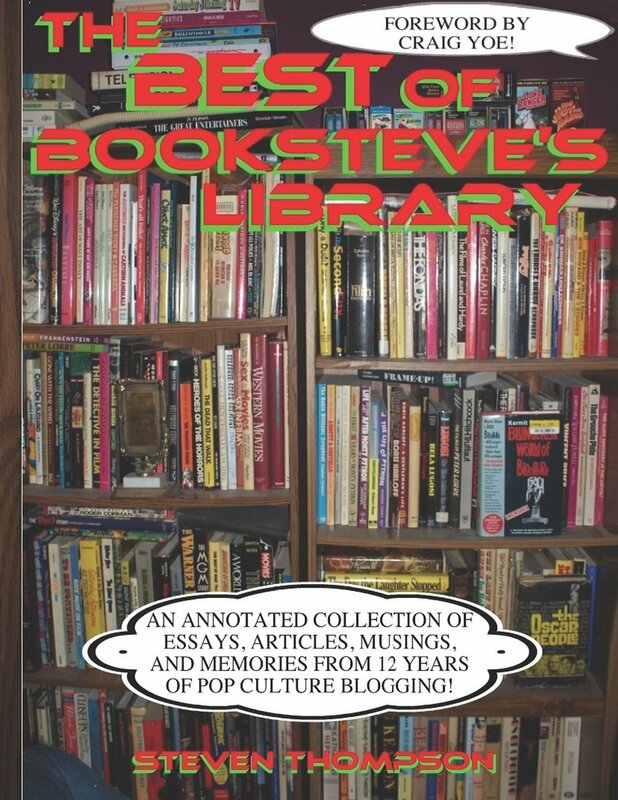 Been absent a couple of days so here's a longer one to make it up to you. 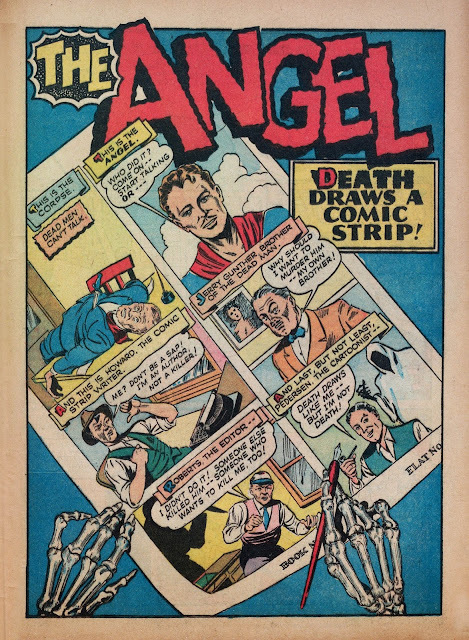 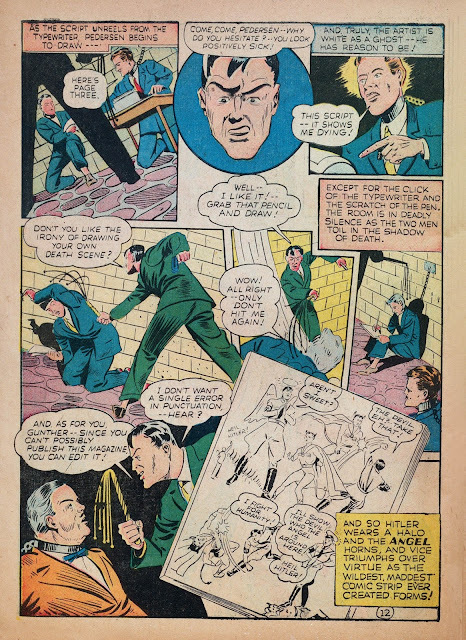 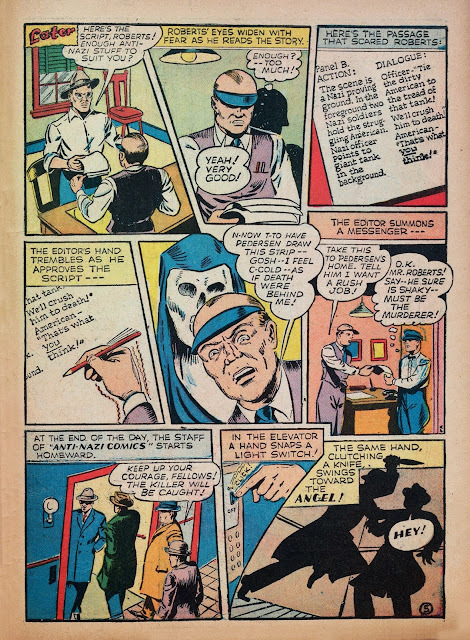 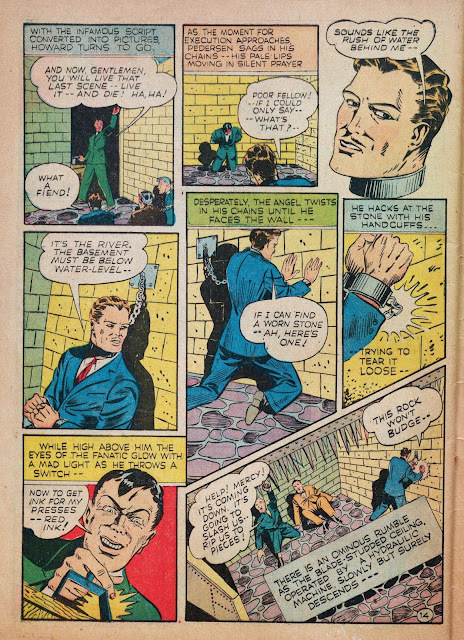 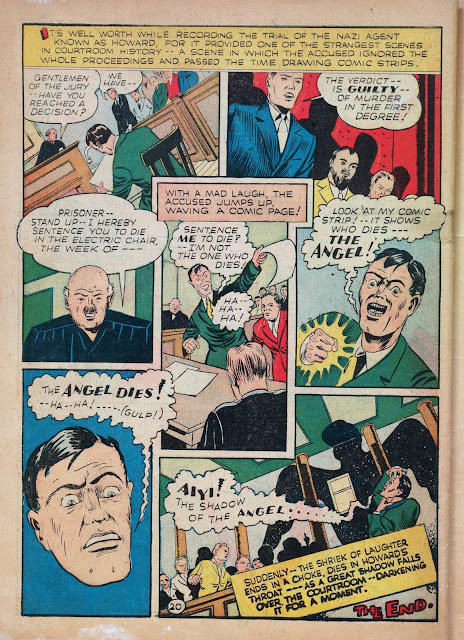 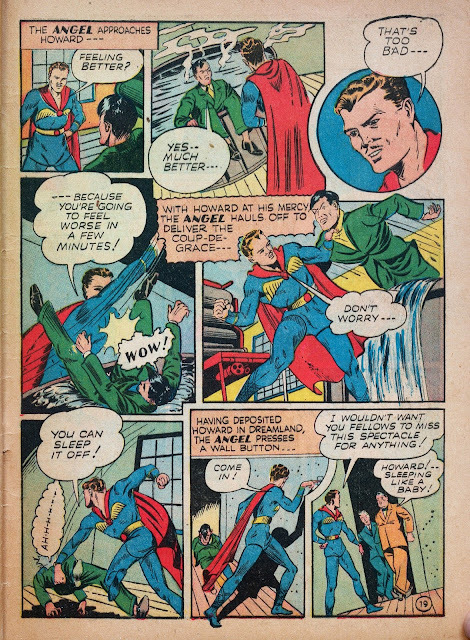 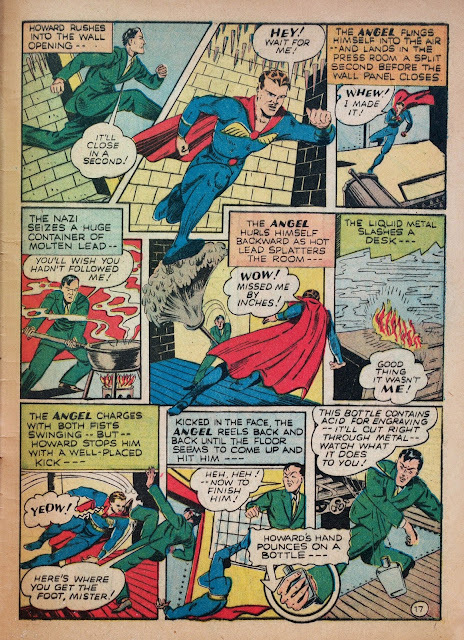 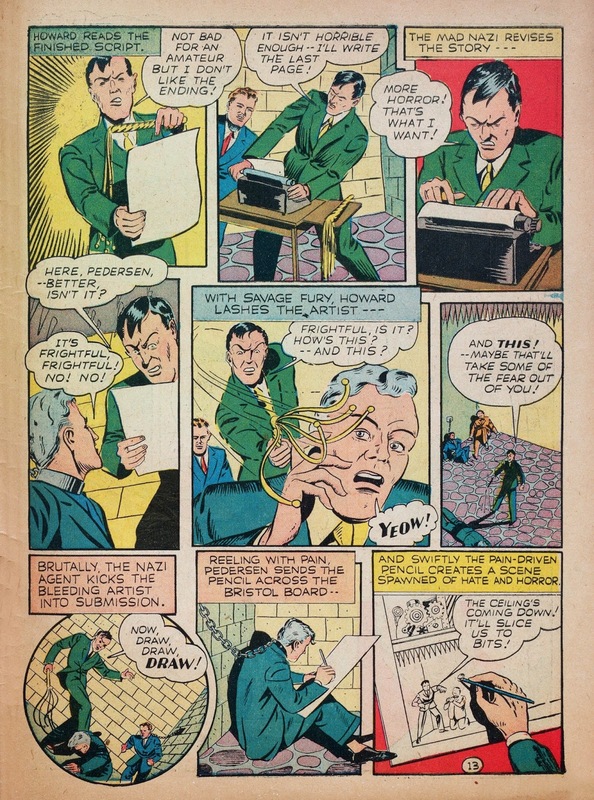 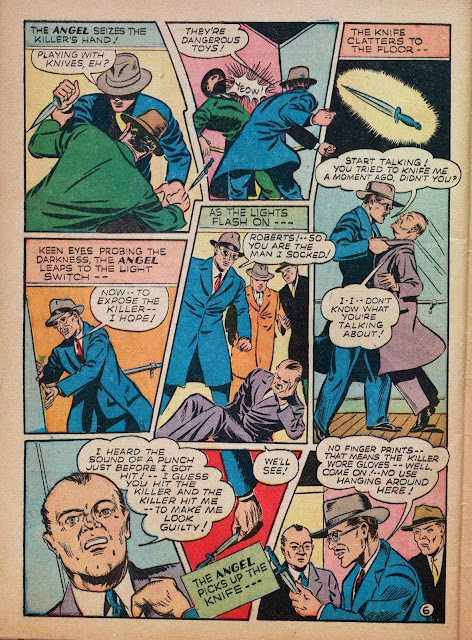 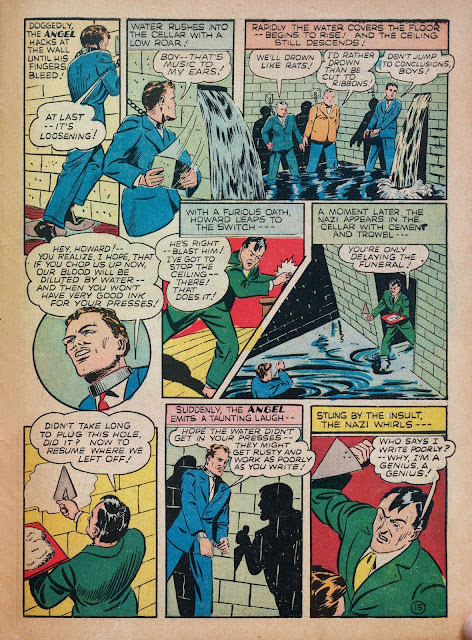 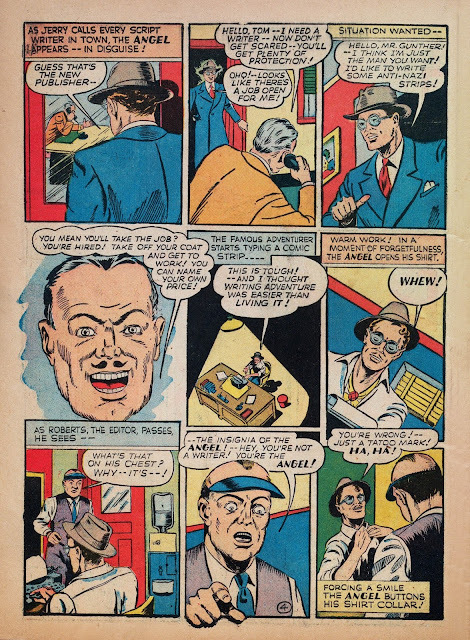 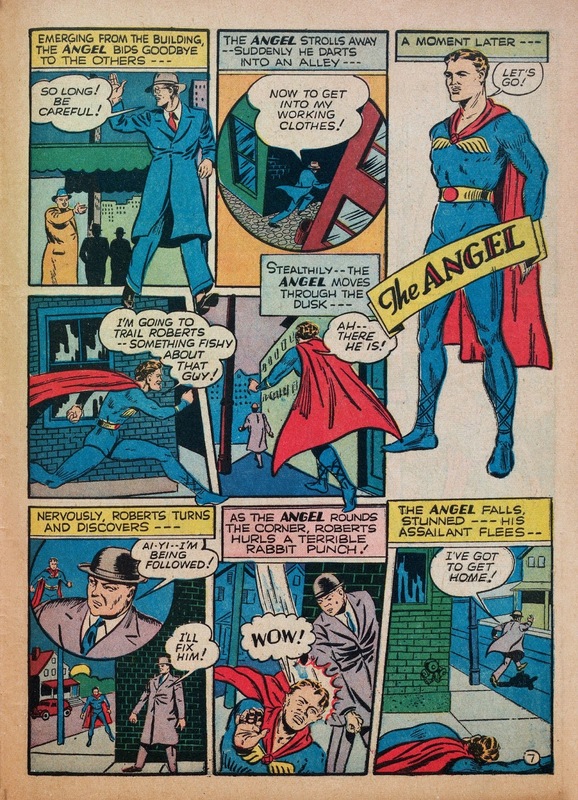 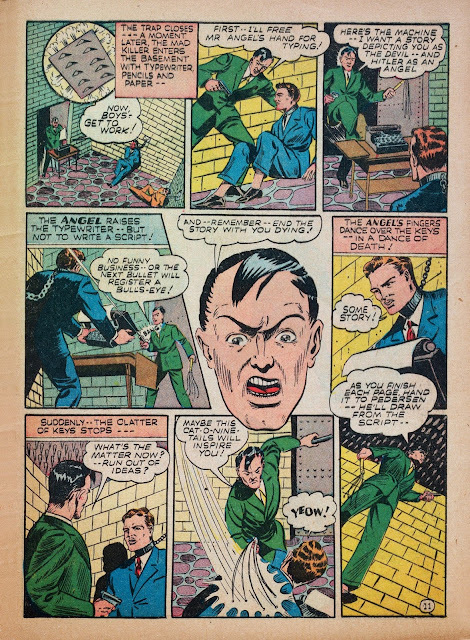 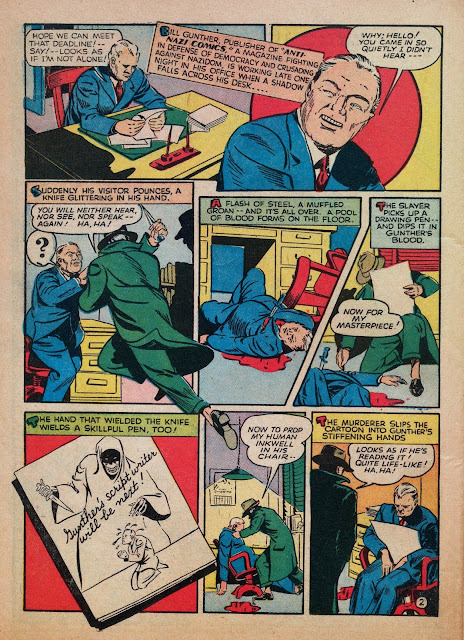 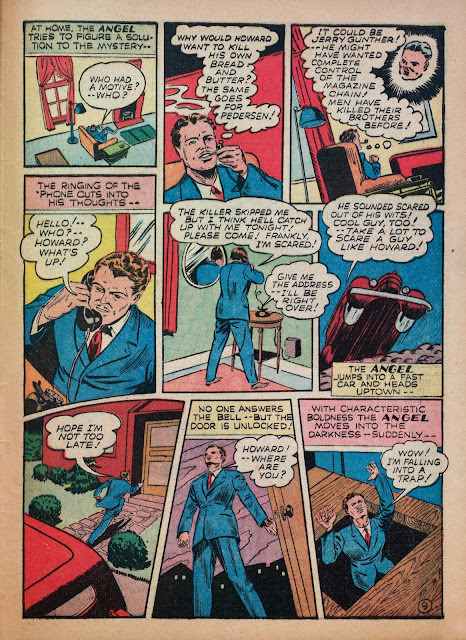 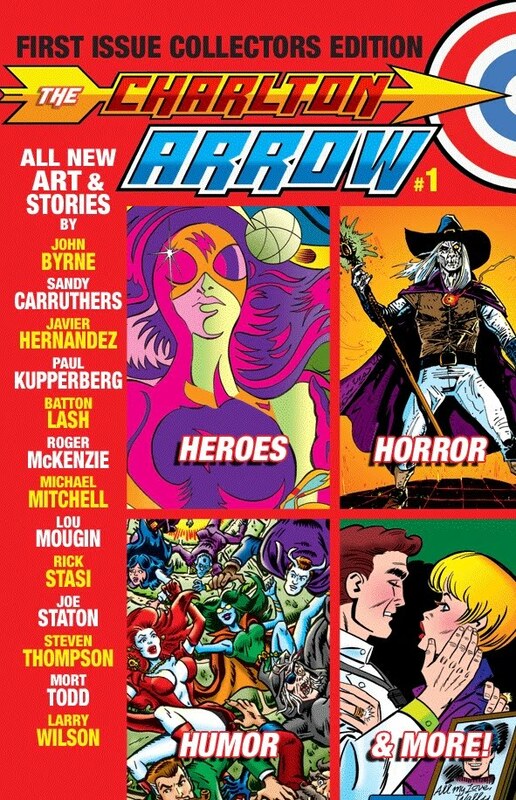 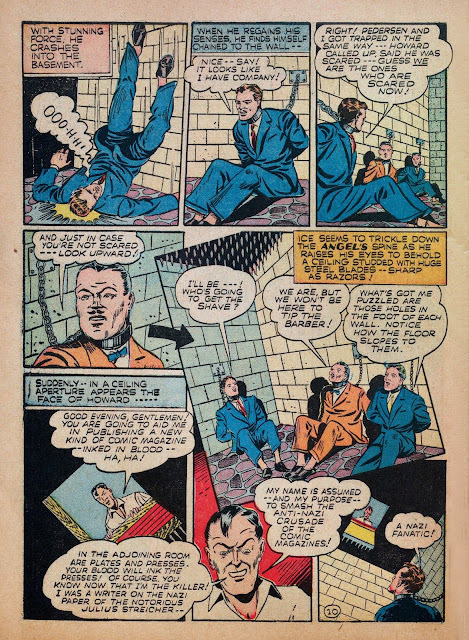 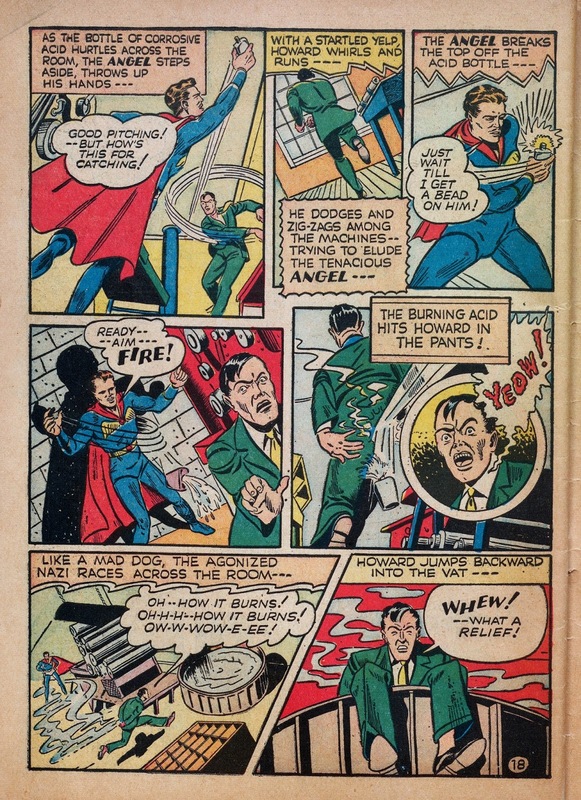 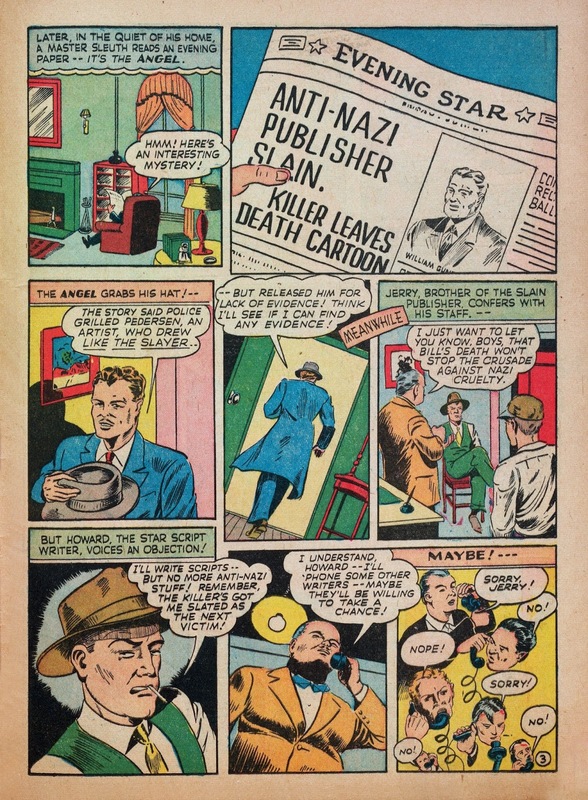 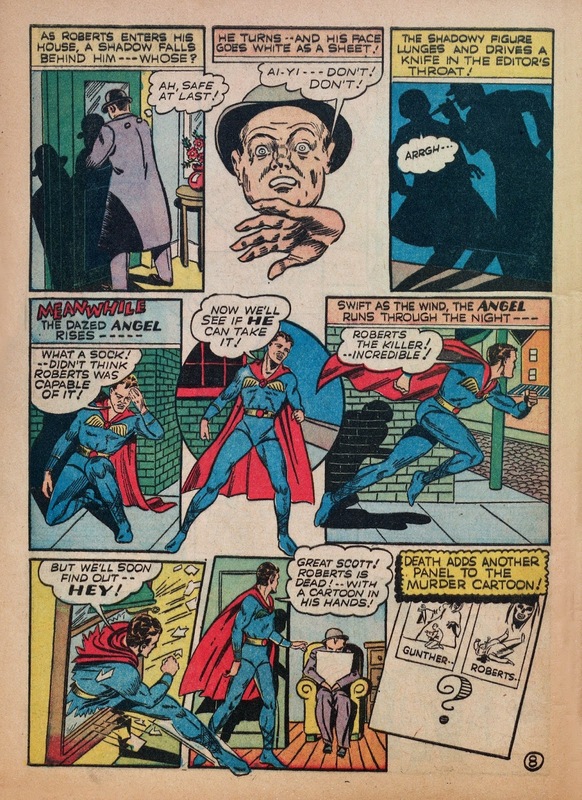 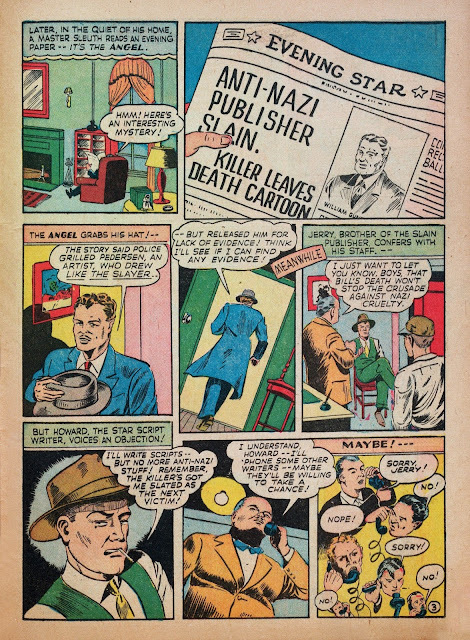 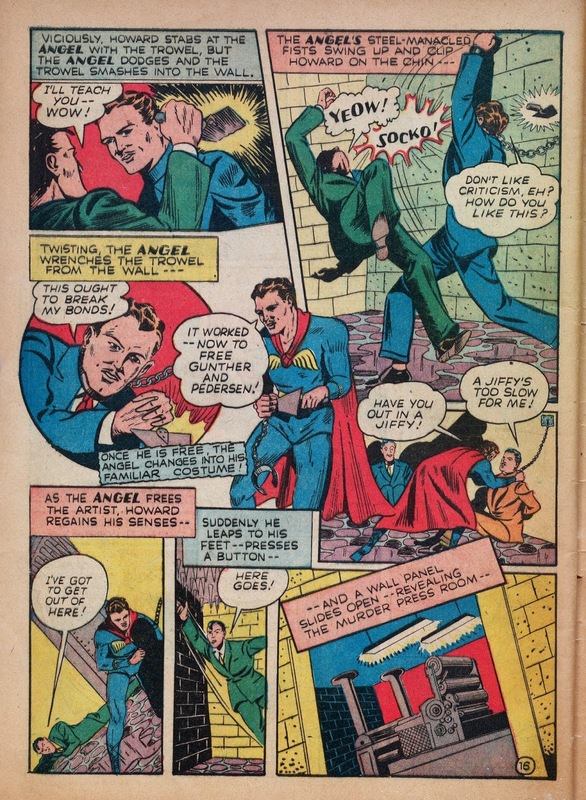 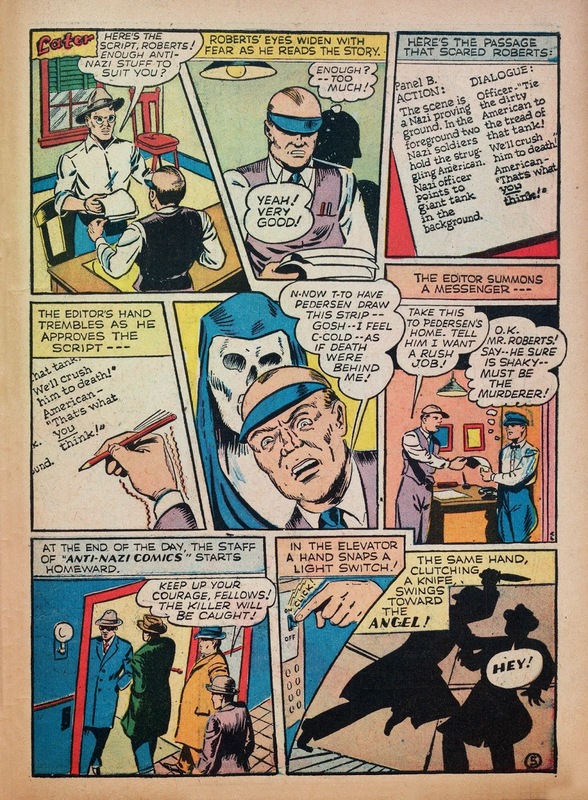 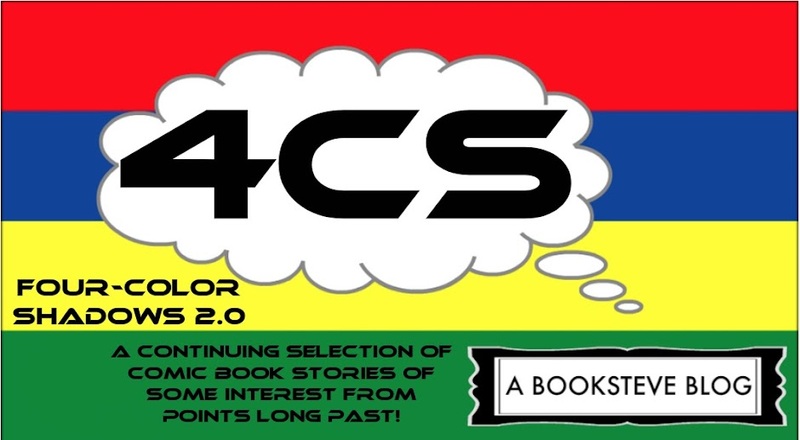 Here the Angel--Timely's costumed answer to The Saint--gets involved in the comics business himself, albeit with Nazi ties! Nice touch on Page 5 the script. 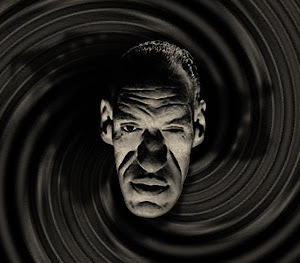 Does anyone still use the method of splitting the action and dialogue? All the same a really neat tale with a cute ending.